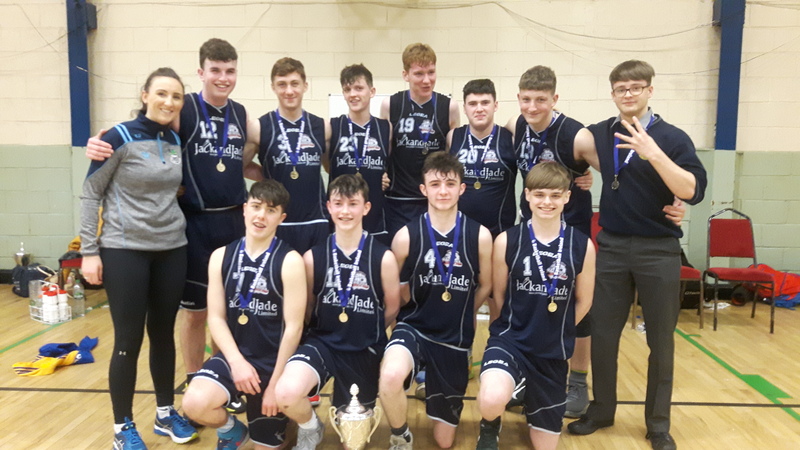 The Midlands Senior Boys Basketball Final saw St Paul’s face Thurles CBS who they had defeated in the group stage after an epic battle that took extra time to separate the teams with the St Pauls lads narrowly coming out on top. The starting five of Dan McCormack, Adam Kavanagh, Gary Morrissey, Scott Higgins and Dara Lovern got St Paul’s off to a solid start and led 13-12 at the end of the first. They continued to set the pace but the Thurles boys drove at the basket leaving the game in the balance at 23-21 with the St Pauls lads just ahead. A tired looking Adam Ryan was called from the bench and almost instantly the balance swung towards St Pauls and they led 35-28 at the end of the third. Some resolute defending and counter attacking in the fourth saw St Pauls win on a scoreline of 44-38. Captain Gary Morrissey congratulated the Thurles team and gladly accepted the cup on behalf of St Paul’s and The St Paul’s boys progress to the All-Ireland qualifiers in 2018.